There are many situations when compressing your PDF files is compulsory, in most cases sharing or storing them requires that you do so, thus the main concern is maintaining their quality after they are compressed. For instance, scanning class notes and hand-outs in order to transfer them to a device requires the compression of PDF files in order for them to load properly and to occupy less storage space. Also should you want to transfer your work from one device to another, resizing will be needed in order to maintain the quality of the text and images. Your projects need to be transferred and still keep their quality. Unfortunately most programs that deal with PDF compression also cut a part of the quality and make the images look blurry. In this article, I will tell you how to compress PDF on Windows without losing quality. PDFs are still the most secure and easy way to work with file format. However if you want to upload a large PDF to the web or transfer it by mail you need to lower the size of the document, thus you need to use the PDFelement ProPDFelement Pro for compressing PDF in order to maintain their quality along the process. Here is how you can compress a PDF on Windows. 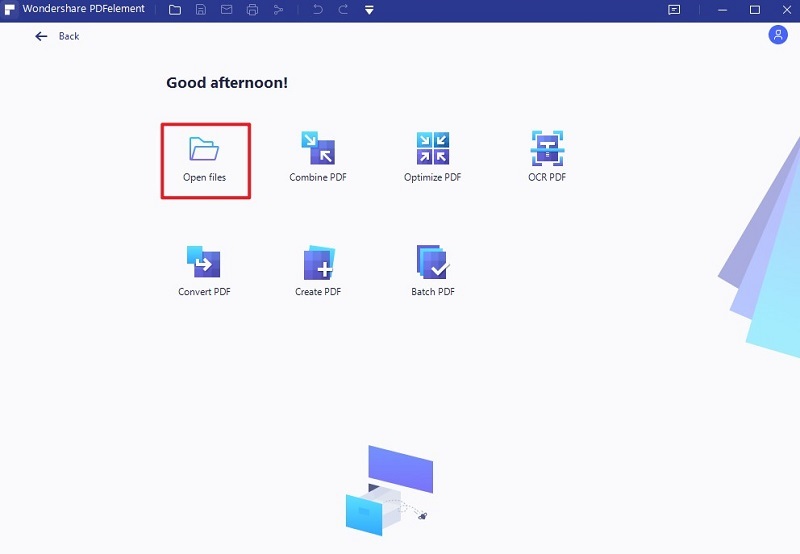 Download and install the program >launch and load the PDF files you want to compress > click "Open" which is at the bottom left corner in order to browse for the file on your computer. When the file is loaded go to the toolbar > click the "File" tab to go to the down menu > select "Optimize" to open the compression window. You will see four options > choose "Web Ready" it's the perfect option for e-mail attachments > click "Optimize" and you're set. PDFelement ProPDFelement Pro is a smart program that can edit and convert your files in Windows just like in an Office Word processor. With the help of this program you can encrypt your PDF docs with a password, edit them as easy on Microsoft Office Word, convert the PDF files to MS Word, Excel or PowerPoint, annotate the docs and create the PDF files in Excel, PowerPoint and Word. This multi-functional PDF Editor is compatible with Adobe Acrobat PDF files and it is very easy to use. With this tool, you can easily compress reduce the size of your PDF files.